Nar Phu Valley is one of the most remote and sparsely inhabited Himalayan region of Nepal. It lies in the unique Trans Himalayan region close to Tibet. The culture and tradition of the local population has plenty of similarities to Tibetans. Our journey takes us on a unique exporatoin of rugged and barren landscape. You will be mesmerized to learn the history of Nar Phu as an ancient place where gods and man live side by side. The typical clifss with cave structures will awestruck and surprise many a traveler. On our way to Nar and Phu villages we will be crossing the Kang La Pass. 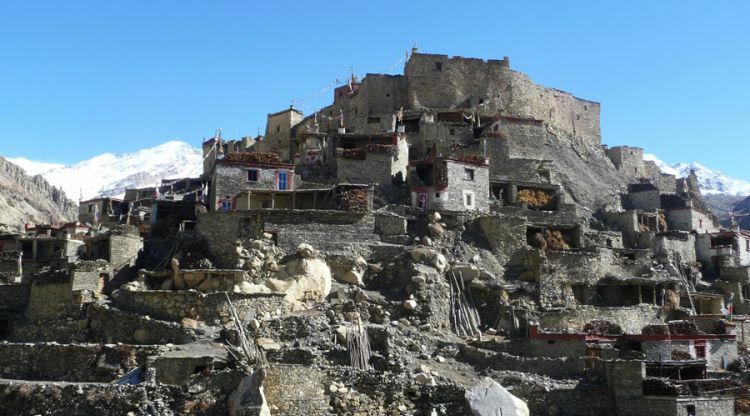 After spending time in Nar and Phu we will change our direction to drop down on the Annapurna Circuit. Further we will head towards Manang to see the Tilicho Lake, one of the highest lakes in the Himalayas. The high point of the trek is the crossing of Meso Kanto Pass (5089m), before finally descending down the Kali Gandaki Valley. In all we will cross over three highest passes Masokanto La pass (5,099m), Kangla Pass (5,200m) and Tilicho pass (5,230m).